PRICE REDUCED!Beautiful brand new home just completed, on 1.17 acres with mountain views in a great quiet location. Fantastic contemporary finishes throughout. Formal dining room, wine room, HUGE master wing with separate his/her walk in closets, an exercise room ,separate office. Gourmet kitchen (sub zero, wolff appliances). Mud room, large laundry room, all 4 bedrooms are ensuite. Marble, wood and tile flooring .ENTERTAINERS DREAM: Heated pool and spa, large BBQ, OUTDOOR BAR. Separate Ramada w/ wood burning fireplace, putting green, lots of turf, Cat 6 wiring, security system, front courtyard with fountain. Electric car charging stations in 4 car/garage plus 25X60 SQUARE FT. RV GARAGE Heated and cooled! Best location! 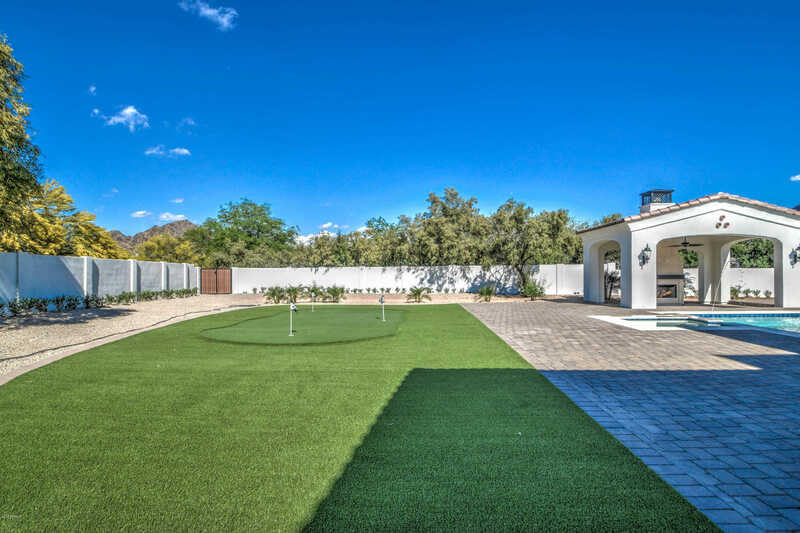 best BRAND NEW HOME, BEST PRICE IN PARADISE VALLEY. Directions: LINCOLN JUST WEST OF TATUM TO Mountain View Drive. North on Mountain View Drive. Approximate size: 44283.00 sq. ft.